The great thing about fall baking is being able to turn on the oven and warm the house with some amazing smells wafting from the kitchen. As much as I love baking sweets, I probably enjoy roasting savory items too. 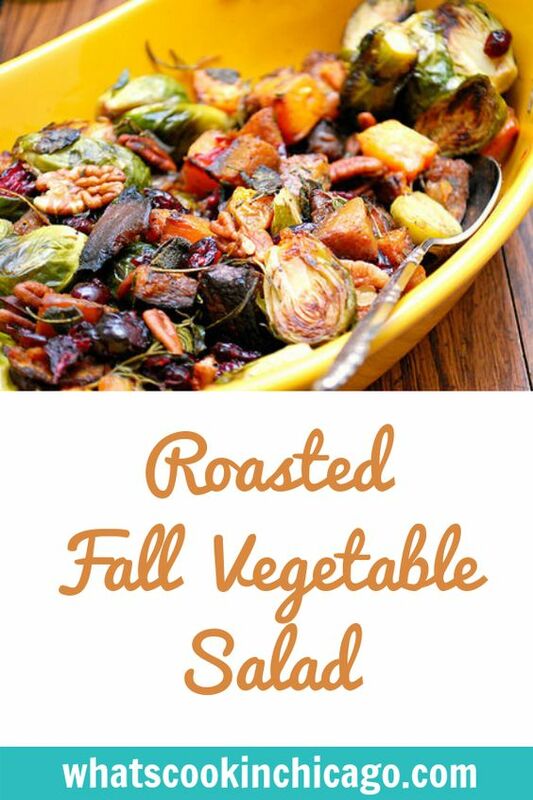 Roasted vegetables are especially wonderful and my favorite recipe as of late is for this Roasted Fall Vegetable Salad. 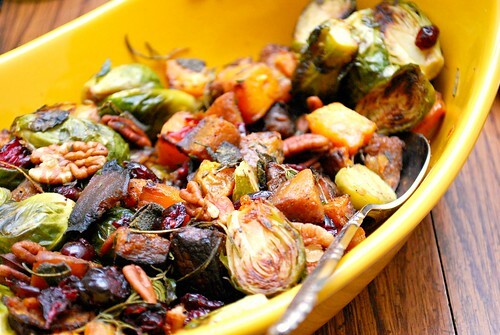 The colorful blend of brussel sprouts, butternut squash, cranberries and toasted pecans is definitely beautiful on the table and even more delicious to eat! Preheat oven to 400 degrees. Line a 2 baking sheets with parchment paper. Evenly divide brussel sprouts and butternut squash between the 2 baking sheets. In a small bowl, whisk together olive oil, maple syrup, brown sugar and cinnamon. Drizzle mixture over sprouts and squash. Bake in preheated oven for 23-25 minutes. Remove from oven and transfer all sprouts and squash to large bowl. Add pecans and cranberries, tossing to combine. Transfer to serving dish and serve hot.